The towering pines on the horizon began to hide late afternoon sun. It was December 20th, one of the three shortest days of the year. While most people scurried to buy last minute gifts or squeeze in a quick grocery run for Christmas dinner, I slipped my feet into my boots and headed to the garden. The cold wind sent my hair flying different directions, and my body worked to stave off the chill. But the December cold couldn’t keep me inside on this day. The time had come. Unsheathing my garden knife, I grabbed the full head of broccoli with my left hand and cut with my right. Pausing for a moment, I inspected the tight florets before laying it in my bucket with the care not unlike a mother with her fragile newborn. Four identical swipes later and my gardening pail overflowed. Fresh-cut broccoli for dinner — in December. I was just as surprised as anyone else. As I rinsed the heads and began cutting the florets for a garlic-roasted broccoli side dish that evening, I reflected on what led to the harvest. My first few attempts at growing broccoli in my garden had yielded disappointing results. After planting transplants in the spring, my hopes for a harvest shattered when the heat came too quickly. The florets separated and grew into flowers before I could ever harvest. I gave up for a year or two before deciding to try broccoli in the fall, and last year I experienced a modicum of success. While the plants did not bolt in the fall and winter weather, they also produced only mediocre-sized heads. Still, that experience bolstered my hope and I tried again this year. Planting seeds indoors in the hottest days of the summer, I nursed the broccoli seedlings until they were ready to transplant in the garden one mild September day. They flourished for a few weeks and my hope grew along with them. Then one ordinary day I walked outside. My jaw dropped before my my mind could register what my eyes saw. All that remained of my precious broccoli plants were stubs. Rabbits had helped themselves to my broccoli. The weight of the disappointment tempted me to give up for the season, but in the end I decided to try one more time. I bought transplants in town and replanted, protecting my beds with a temporary chicken wire barrier. I watched as they grew taller and healthier. I searched for the first evidence of an emerging head and rejoiced when I found one. Soon many heads began forming, all at different rates, and I allowed hope to take root again. 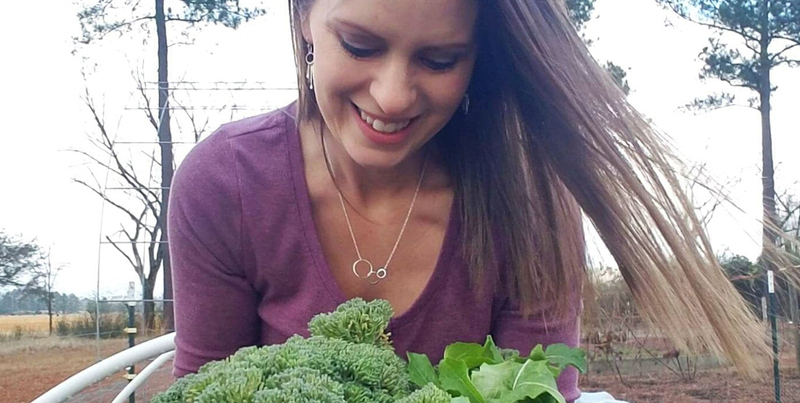 When people saw my broccoli harvest in December, I could hear their astonishment — maybe even awe. But not all of them realized what it took to get to that place. They didn’t see the disappointment in the early spring attempts or my embarrassing doubled-over grief when rabbits decimated my previous planting. They didn’t know how many times I almost gave up. All they saw was a broccoli harvest at Christmas. Gardening is a funny hobby. Some plants grow almost on their own without our help — and maybe even in spite of it. But other crops test our fortitude and challenge our commitment. The tenacity of a gardener is measured in these moments. And it’s in those moments where a gardener finds the gold. The hidden gem. That pail of broccoli has long been eaten. It served its delicious purpose, but it gave me so much more. Courage to attempt something hard. Willingness to try a different way when the first one didn’t work out. Strength to start over instead of giving up. Maybe that’s why gardening is so dear to my heart. Its fruit endures long after the harvest.